AI this, AI that… It seems that ever since Apple introduced Siri for the first time, Artificial Intelligence has been the buzzword among those of us at least remotely related to tech. In fact, the concept of a computer that can learn and do stuff on its own has become so popular among the mainstream media that not many of us actually understand what AI and Machine Learning are. Simply put, we consider a system an AI if it can do something that would normally require a human. Machine Learning is a process when AI’s are not only able to perform human-level tasks, but can also learn along the way and adapt their actions to perform even better. How Will This Influence Marketing? So, now that we’ve got a clear understanding on what AI is, what does this have to do with digital marketing? Believe it or not, 80% of all marketing executives believe that AI will revolutionize the way we approach marketing by 2020. Seems a bit soonish, given that only 10% of marketers are using AI today. However, do not make the mistake of dismissing this trend for a bubble. The AI revolution is real, and it’s already been happening for years. It’s actually a bit ironic: AIs often go unnoticed because they work so well you don't even question whether it's a human on the other side of the screen who did it. In a sense, good AI is like good CGI (Computer-generated Imagery): it feels so real you don’t even notice it. The biggest - and, currently mostly applied - implication of AI for marketing is, of course, its capability to handle billions of data points in a way that a real marketing professional would. Imagine if all of your Youtube or Netflix suggestions had to be created and updated individually, or if the same was done with Amazon item recommendations for each customer. Since these businesses have so many customers, we literally wouldn’t have these features today. However, it’s not just the giants that implement AI in their marketing efforts. Small-to-medium sized businesses can also utilize AI to drive more leads, convert more visitors and retain more customers. 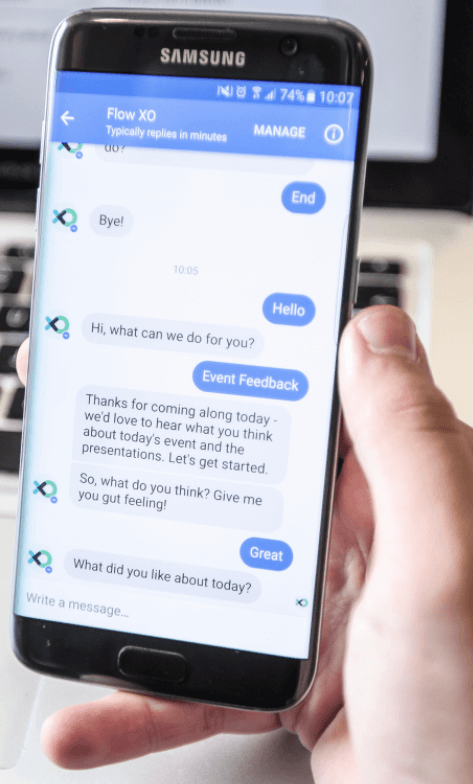 Chatbots are still quite new, and not everyone has had the chance to try them (especially a good one), let alone implement one in their business. Basically, a chatbot is a program that acts as a Customer Support agent for your business without your involvement. And, with the uprise of tools like Rebot and Facebook’s Messenger, you can actually create sophisticated chatbots yourself without any programming. Think of a regular customer support conversation. You go onto a business’s website, you start looking for something, yet you can’t find it. A chat box appears on the bottom right corner, offering help. You start telling the customer support agent what it is you were looking for, and he or she does everything they can to help you. Chatbots are designed to do the same. They understand your answers and questions, have access to your previous purchase history, and they can use all of the website’s content to help you with your problem. All of that without requiring hundreds of hours of labor by a customer support team. We all know in 2017 that killer content is a must in order for a site to convert its visitors. People simply won’t buy from your spammy, low quality website if your competitors have loads of engaging, high-quality content on their marketing channels. However, every marketer knows how important it is to target the right group of people with every word and visual you put out there. You miss and you don’t convert - it’s that simple. Well, luckily for all of us, the golden age for content marketing seems about to begin. What AI can do for you is something more simple, yet possibly extremely powerful: optimize your content for as many target groups as you’d like. For example, back in April, ad agency Saatchi LA used IBM Watson AI supercomputer to create thousands of variations for the same Toyota car ad. Using AI, Saatchi LA was able to target thousands of different demographic groups with different ads. Think of the part of every piece of content that you release where you personalize it to a certain target audience. If it’s a blog post, perhaps it’s something that you mentioned in the introduction? If it’s an email, then maybe it’s the subject line? Now imagine if someone put hours of research into each and every one of your readers, and individualized those parts of your content for them. You could even get deeper into it. If someone posts "excited for my camping trip this weekend" you could trigger an automated ad or email with the headline "Don't forget to bring the [product] this weekend!" See how this could rock your conversions? I definitely do. It is predicted that by 2021 AR (Augmented Reality) will drop its status as an emerging technology and become a part of everyday lives. We need to get good with AR now. Because by 2021, everyone else will have already figured it out, and there will be no pieces of the pie left. For those of us who’re not entirely familiar with what AR is, it’s basically seeing an altered view of the world around us through special glasses or mobile devices (the industry hasn’t yet decided which direction it will go). For example, you could turn on your phone, point your camera at table, and through a special app you could make a chess game appear on that very same table. You could move around the pieces and eliminate enemy pieces, just like you would do with a wooden board, except that there is no board. You could even play chess without a table! Given AR’s strong connection to the objects and places surrounding a person using an Augmented Reality app, the most popular application of the technology is improving customer experience. For example, if you own a clothing store, you could write an AR app that shows how you’d look in different clothes in the mirror without you actually having to try them on. If you’re a travel agent, you could offer your customers an app that helps them recognize and learn about the landmarks in different locations. The point here is, AR has many applications for pretty much any physical business, despite its size. And small businesses are already racing to dominate the AR scene before it becomes mainstream. One of the most characteristic traits of the 21st century is the overwhelming quantity of data, and marketing is no exception. Often, we’re swimming in the sea of numbers and values, wishing someone could just make sense of it all. When it comes to marketing campaigns, not being able to gather information from your data could mean losing valuable insights on why certain marketing campaigns work or don’t work, which eventually could lead to loss of potential/existing customers. Luckily for us, AI is - once again - here to help. For example, with Google’s new Attribution tool, you can get immensely deeper insights into your marketing campaigns than before. What does this new tool bring to the table? Previously, you’d only get data on the last touch point the customer had made before making a purchase on your website. That is, if someone bought one of your products after clicking on a paid ad, the only data you’d get is that your paid ads convert, and you should invest more into them. However, that data doesn’t account for the entire journey the buyer might have gone on before clicking on that ad. Perhaps they read an article of yours, or found your Facebook page before clicking on the add. Perhaps by the time they clicked on your paid ad, they were already ready to buy. And that changes the picture a bit, doesn’t it? Now, Google Attribution’s task is to account for the entire customer’s journey, and to provide you data accordingly. AI is not solely a marketing tool, nor it only a way to reduce costs or improve efficiency. AI is a technology that can be used to create tools that improve most any part of your business. That’s why you shouldn’t dive into the world of AI-enhanced tools out there, looking to implement everything right away. Instead, recognize the next logical step for your business, and only then look for possible AI solutions for your problem. David Kosmayer is CEO and Founder of Bookmark, an AI-powered website builder disrupting the web design industry. David created his first company at 22 just coming out of college. Marketing Extensions Inc., an online affiliate and marketing agency, was born from the basement of his parent’s home. This company grew under his leadership into a 55-person team, topping $60M in revenue in less than a decade. 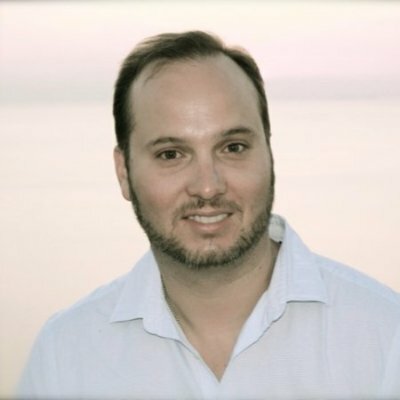 David is highly focused, dedicated and passionate about building successful companies.